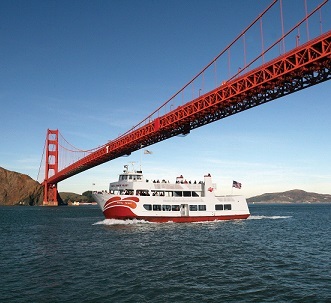 Don’t let your visit pass without taking a SF Bay cruise aboard the Red and WhiteSM, the original San Francisco tour provider. For more than 120 years, Red and WhiteSM has offered visitors and residents a variety of special SF Bay cruises, such as sunset journeys, bridge-to-bridge tours and more. We look forward to sharing our hometown also with you! 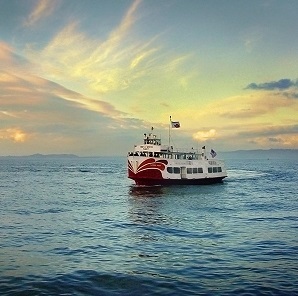 In addition to sightseeing cruises on San Francisco Bay, Red and White Fleet also features a variety of city tours and excursions throughout Northern California. Popular options include bus tours to Muir Woods, the Sonoma & Napa Wine Country, Yosemite, Monterey & Carmel, as well as Hop-on Hop-off Double decker Bus Tours of San Francisco.